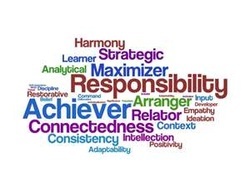 Strengths-Based Coaching : A coach is a person who invests in and interacts with an individual, partnership, or team for the primary purpose of stimulating, motivating, and facilitating the growth, development, and performance of that individual, partnership, or team. Subscribe to Joseph's regular Wise-Videos - sent directly to your mail box. Click on the attached video icon for a sample. Strengths-Based Coaching : Start with Talents, End with Strengths. The best coaches focus on strengths. The best coaches help others open the door to their potential. For people to become more of who they already are and be at their best, they must gain a clear understanding of themselves - how they naturally think. feel, and behave. People's greatest talents - the ways in which they naturally think, feel, and behave - represent their innate power and potential. When people can tap into these natural patterns, they act with more capability, confidence, happiness, direction, hope, and authenticity. Too often, people take their talents for granted. They assume everybody has what they have. Or perhaps worse, they are not aware of their talents or their potential. Coaches have their own individual approaches to what they do and how they do it. But, decades of Gallup research into talents, coaching, and success have shown that the best coaching is grounded in a handful of guiding principles. First, when coaching from a strengths perspective, you must have an intense, intentional focus on the positive, natural potential and tendencies of the client : The goal of strengths-based coaching is leveraging the client's natural talents in a productive way so that they truly become strengths. Consequently, the coach looks for the best in his or her client and helps him or her understand, appreciate, and apply the unique and enduring qualities that he or she already possesses. Second, strength coaches should spend more time studying success than failure : Essentially, they will find success more interesting and engaging than failure. Ultimately they know that they will get a bigger return on the time and energy they invest in studying success. Third, strengths coaches must understand that a focus on strengths does not mean totally ignoring a person's weaknesses : Effective coaches are aware of and discuss their client's potential weaknesses. However, they don't allow their client to obsess or concentrate on them. They help their client find ways to manager around or mitigate these potential hindrances and then return to a focus on talents that can be converted to strengths. You don't have to become a different person to be successful. You don't have to be all things to all people. You can't be anything you want to be, but you can be more of who you are. You can learn how to be more of who you already are and how to be a better version of who you already are. Click here to download a handy reference guide on the approach of strengths-based coaching.